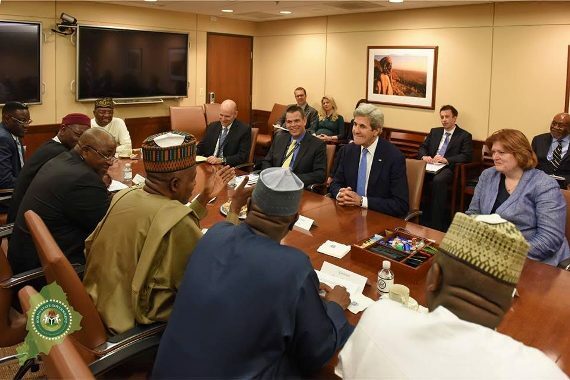 10 of the 19 Northern state governors who are currently on a working visit to the US, met with the US secretary general, John Kerry at the White House. The governors also had a closed door meeting with President Barack Obama's National Security Advisor, Ambassador Susan Rice. The meetings focused on deepening collaboration on conflicts elimination, prevention, humanitarian aide and partnerships on the solving development factors responsible ‎for recurring ethno-religious violence in northern Nigeria. 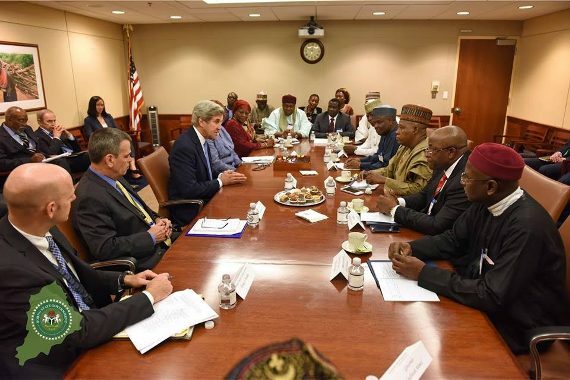 Among the Northen governors who are in the US are Governors Darius Ishaku ‎of Taraba, Dalong of Plateau, Abdulfatah Ahmed of Kwara, AbdulAziz Yari of Zamfara, Bindo Jibrilla of Adamawa, Muhammad Abdullahi Abubakar of Bauchi, Abubakar Sani Bello of Niger, Kashim Shettima of Borno, Aminu Waziri Tambuwal of Sokoto and Deputy Governor of Kano State, Professor Hafiz Abubakar who is representing Governor Abdullahi Umar Ganduje of Kano State. 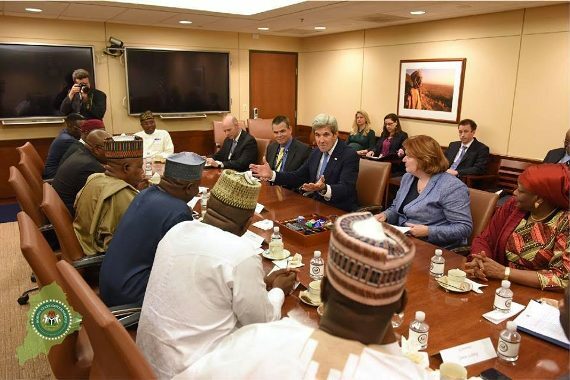 The Governors on Tuesday began a three-day symposium organized by the United States Institute of Peace which is an agency established and funded by the United States Government with headquarters in Washington DC.